Beers Made By Walking: Beer List for BMBW Seattle on October 23rd! Beer List for BMBW Seattle on October 23rd! 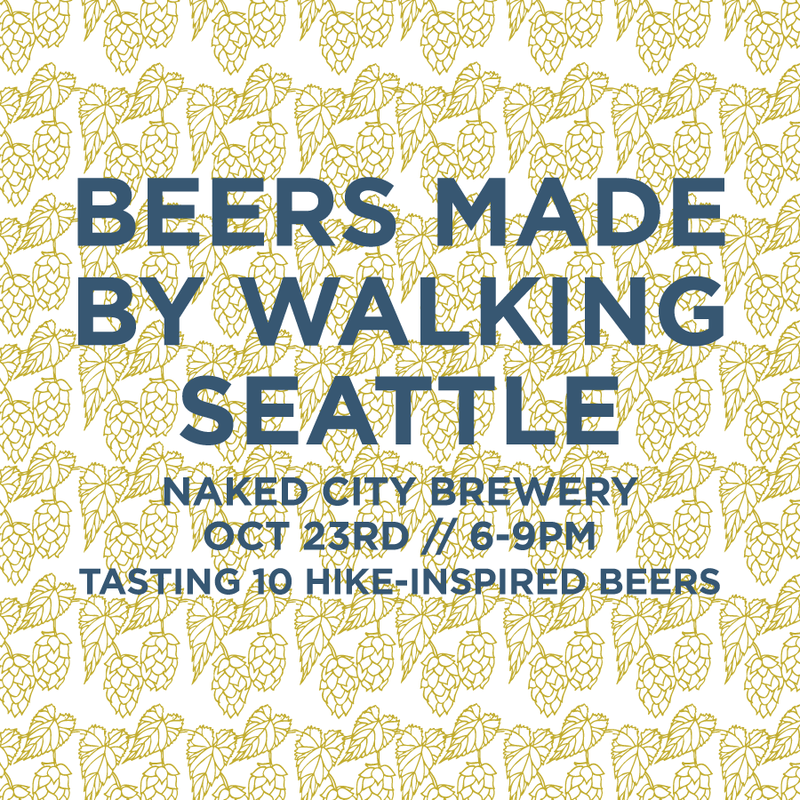 Our final Beers Made By Walking event of the year takes place in less than a week in Seattle, WA. We just compiled the list of beers that will be at the event and wanted to share them because the list is absolutely incredible looking. We've also added a tenth beer to the list, Hopworks from Portland, OR. The majority of these beers were based off three hikes in and around Seattle, led by the Friends of the Cedar River Watershed. On the 23rd, from 6-9pm, you'll have the opportunity to drink these beers, and proceeds will be donated to FCRW. You can have 10 samples for $15 or you can buy $5 pints at the event. A bready, spicy and fruity saison with wild huckleberries, inspired by a hike at Cougar Mountain. Belgian Style Saison with the addition of Salal leaves, inspired by a hike at Steward Park. A light rustic ale brewed with wild watercress foraged in the Olympic peninsula. A big, bold Northwest Imperial IPA with spruce tips and elderflowers. Based off a hike in Discovery Park in Seattle, Washington. Smoked Brown Porter, smoked over Western Redcedar. Inspired by a hike at Cougar Mountain. Belgian Style Saison brewed with locally foraged rose hips, inspired by a hike at Discovery Park. We harvested spruce from trees on the coast, near Astoria. We produced 30bbl batch and used 200 pounds of Spruce tips. Salal Slap is a bracingly sour Berliner Weisse with Salal berries, based on an old growth hike in Portland, OR. Tart Saison with rose hips and elderberries inspired by a hike on the Wildwood Trail in Forest Park, Portland.